Finally! We hear you cry. 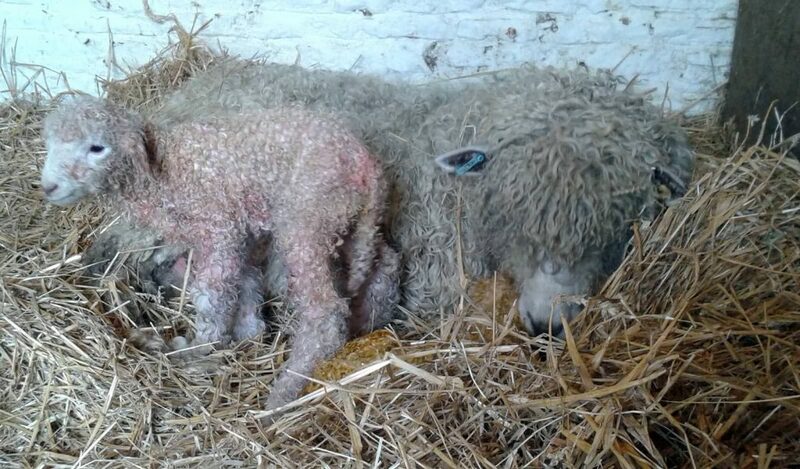 Yes, it’s true, our ewes have been standing with their legs crossed for the last week, and we had started to wonder if they were ever going to arrive, but at midnight today the first Jacob ewe lambed two boys, followed this morning by a Lincoln Longwool, which also had twin boys. The first 24-hours after the lambs have been born are crucial. Our Lincoln Longwool struggled with both of her lambs and had to be helped by our rangers but they are now bonding, as shown in the photo which was taken minutes after the arrival of the second lamb. It’s vital that once the lambs are cleaned, they drink their mother’s milk. The first milk, called colustrum, is filled with nutrients and antibodies that help the lambs to naturally fight diseases. By now, the lambs should already be on their feet and standing, so we’ll be on the look out for any that aren’t so that we can assist them and ensure their eating enough. If they’re not, that’s when we have to intervene and take one of the lambs away to be bottle fed. Our lambs can be seen in the maternity until which is in the Shire Horse Centre, Our feeding shows are also taking place every day in the Stone Barn.